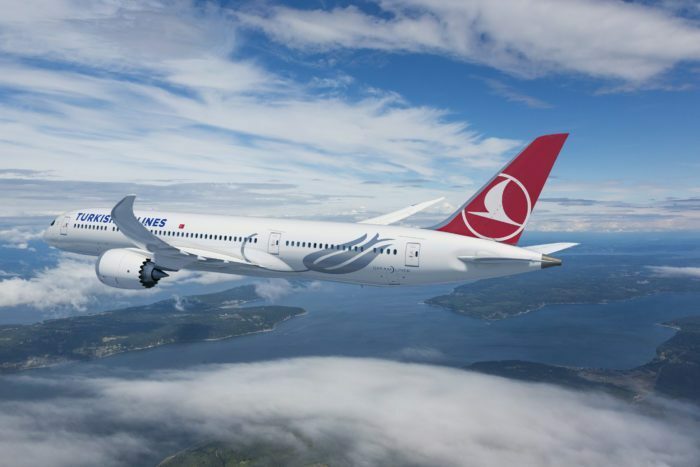 Turkish Airlines has finally locked in the first flights of their brand new 787 Dreamliner. The Boeing 787-9 will be flying from the new Istanbul International Airport to Antalya, the Turkish resort town covered in Roman ruins. From there, further 787-9’s will be deployed on additional routes. Back in 2017, Turkish Airlines revealed that they had placed an order with Boeing for 40 787-9 Dreamliners. This was quite a large order, but would allow the airline to not only replace their aging fleet of A330s (18 A330-200s and 37 A330-300) but also operate long-haul fuel-efficient routes across the world. These aircraft have taken some time to arrive, but the end is in sight as the first is due to land in early July this year. This brand new 787 will feature two classes on board, Business Class with 30 seats and 270 Coach seats. The Business Class will feature a brand new seat that has not been seen yet on the Turkish Airlines fleet but is actually the same as the Business Class found onboard Singapore’s Boeing 787-10s. The cabin will be in a 1-2-1 configuration, with the middle seats alternating between together and separate to facilitate footwells. Turkish Airlines will be using the aircraft to fly between its brand new hub airport, Istanbul International Airport, and the tourist destination of Antalya. Antalya is famous for its resorts, beaches, and ancient Roman ruins that are crumbling into the ocean. Atlanta – Five days a week, they will fly to the US city from Istanbul. This will allow them to retire an A330-200. Denpasar (Bali) – Whilst it will start with the second Dreamliner three times a week after delivery in late July, this route will expand to every day by August as the southern hemisphere trade picks up. Washington DC Dulles – Whilst the start date has yet to be revealed, it is believed that a 787 will fly here every day.